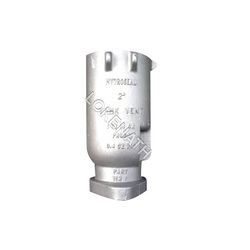 Manufacturer of a wide range of products which include wall housing casting. Wall Housing Casting solutions offered are backed by our well developed product research facilities so as to assure of quality end solutions as demanded by the customers. Further, these casting solutions for wall housing can be provided with choice of different surface finishes like anodized, power coating, painting and others as specifically demanded by the customers. Some of its features include choice of different dimensions, expertise in offering engineering consultation to submitted design for production improvements, expertise in meeting OEM demands, provides for superior protection from rust and corrosion among others. Looking for Aluminum Wall Housing ?